Among the various empires that once ruled the ancient world, the Roman Empire occupies a prominent place. Their political endeavors, advanced social setup, deep knowledge of science and technology, and military feats reiterate the fact that they were an advanced civilization. During their reign, which lasted for more than a 1000 years, the Romans took up many architectural projects. You will come across majestic temples dedicated to Roman and Greek gods and goddesses, exuberant marketplaces, stunning gardens, forts, and amphitheaters in Rome. 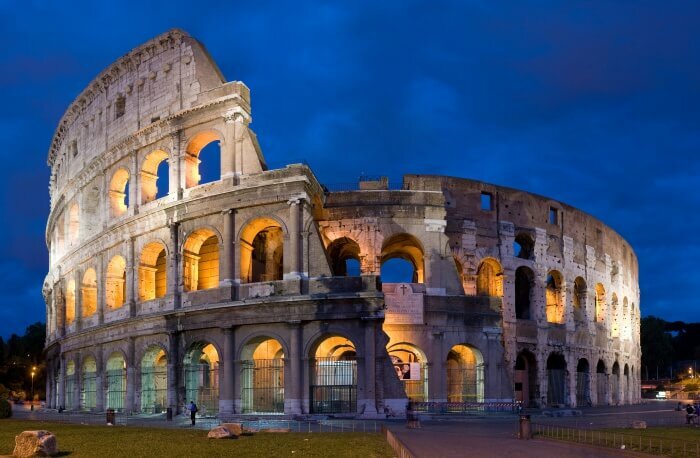 But if there is one structure that is synonymous with the Romans, it is most certainly the Colosseum. Many of us have seen this massive stone building in the famous Hollywood movie “The Gladiator”. The Colosseum is one of the most regal amphitheaters constructed by the Romans for public entertainment. Once the rule of the emperor Nero came to an end, the Flavian emperors took over the throne. 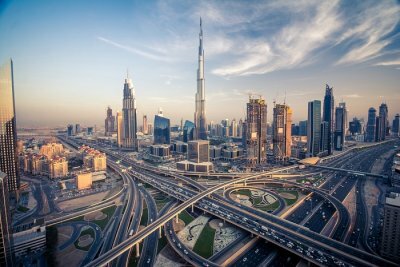 Plagued by riots and civil wars, the kingdom badly needed socio-economic reforms. 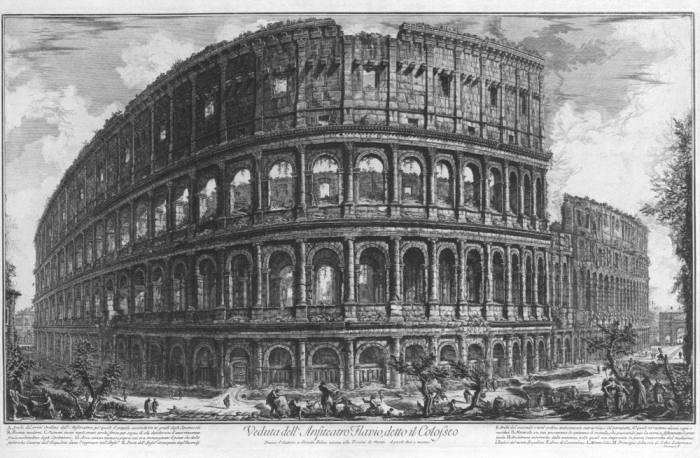 The construction of the Colosseum is part of such a reform. The emperor Vespasian commissioned it in 70 AD. It was built on the same beautiful piece of land where Nero’s Golden Palace once stood. The name Colosseum has been derived from the “colossal” statue of Nero that stood in close proximity to the gigantic amphitheater. During the construction of the Colosseum, Vespasian didn’t destroy the mammoth sculpture but he replaced the head with that of Apollo. Successive emperors kept altering the head but the main statue survived well till Middle Ages. 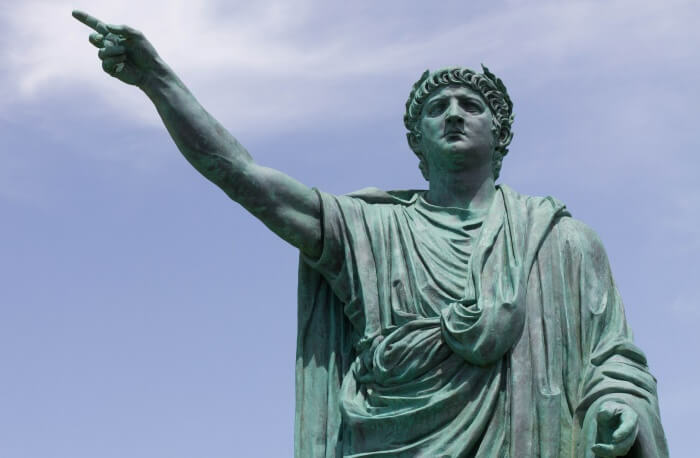 The English monk, Venerable Bede, said that Rome will stand as long as the Colossus (Nero’s statue) stands. If the statue falls, so will Rome followed by the rest of the world. The statue eventually fell during the Medieval Era. The Colosseum makes the Romans proud of their engineering skills. The building was constructed using naturally deposited limestone, travertine stones and tufa. Rather than using mortar to hold the elements together, the builders used 300 tons of iron clamps. It’s no less than a wonder that such a grand structure still stands tall in the middle of Rome even after being affected by natural calamities. 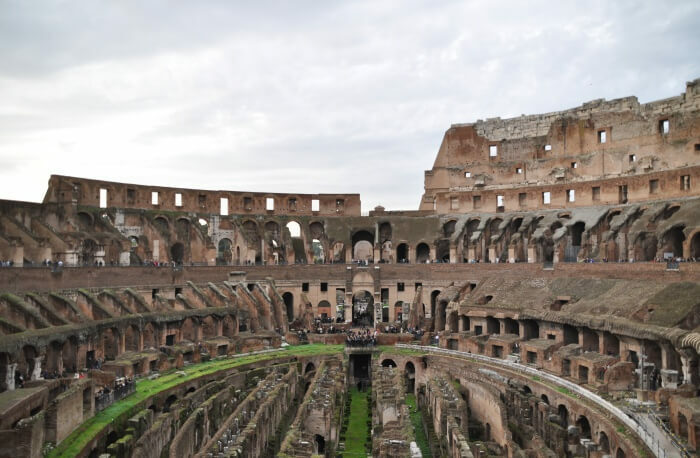 Even though historical evidence suggests that the diabolical massacre took place inside the Colosseum, the Colosseum had been antithetically chosen as the symbol against capital punishment. As a gesture of compassion, the authorities of the Colosseum change its night light from white to gold when a death penalty is abolished anywhere in the world. When the US state of New Mexico revoked its capital punishment system in April 2009, the lighting was changed to gold. The system of access points and corridors are amazingly advanced for their age. 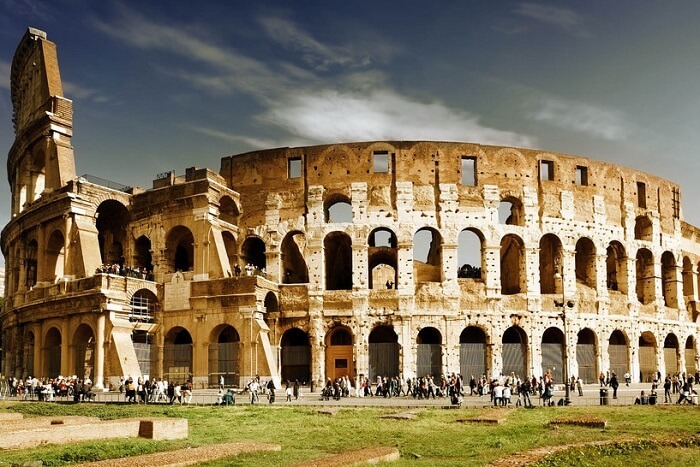 The Colosseum has over 80 entrances and can accommodate over 50,000 cheering spectators. The segregation on the basis of social status can be found in the seating arrangement pattern. The elaborate systems of pulleys, beams, ropes, canvas, and sockets were operated by sailors recruited specially for this job. 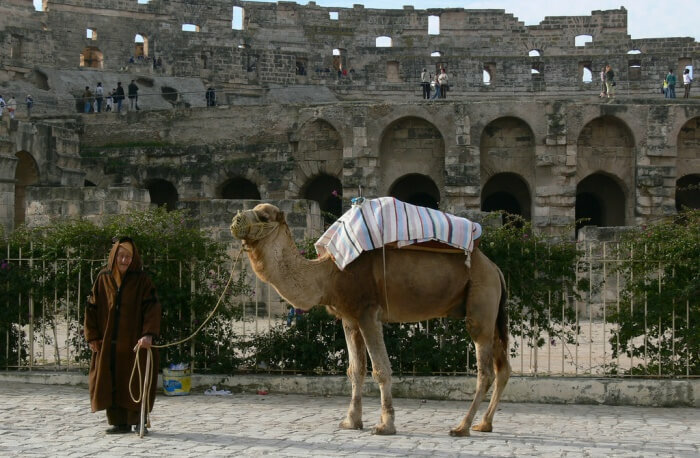 With the last recorded animal fight held in 523 AD, the Colosseum gradually was left unused after the 6th century. During the conventional medieval times, the arena was used as an extensive cemetery ground. In the early 13th century, the Frangipani family took control of the Colosseum and turned it into a fortified castle. Pope Sixtus V used the Colosseum as a wool factory that provided employment to the liberated prostitutes. Cardinal Altieri sanctioned this colossal structure to be utilized as the stadium for bullfighting but this proposal was opposed by the nobles and distinguished citizens. 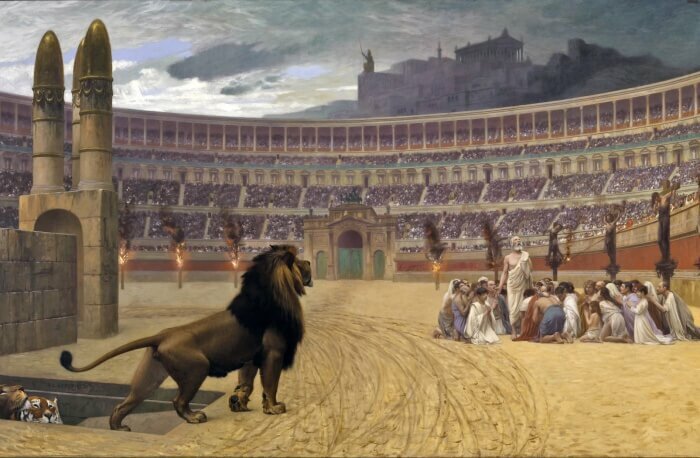 In spite of its barbaric pagan origins, the Colosseum has been used as a worship space by Christians over the centuries. A large cross was detached in the 1870s during a hysteria of secular archaeology funded by the new Italian state. That cross was again attacked by Mussolini in 1926 in a cynical effort to conciliate Catholics. On the formal opening ceremony of the Colosseum in 80 AD, emperor Titus exhibited 5,000 wild animals. During victory celebrations, emperor Trajan introduced 11,000 animals and 10,000 gladiators to the arena and they fought a bloody battle for 123 days continuously. The wide range of animals included rhinoceros, hippopotamuses, giraffes, crocodiles, ostriches and aurochs, among others. Located in the heart of medieval Rome near the Colosseum, The Basilica of Saint Clemente is a somber-looking 12th century Catholic Church that encapsulates the beauty of Rome. This unique historical site is made up of three layers that record the history of Rome from its beginning until the medieval period. This ancient church is an ideal place for the visitors to witness the complex architectural and archaeological history of the city. The walls and ceilings of the church are beautifully decorated with mosaics and wall paintings that will take your breath away. Located in the heart of Celio district, The Roman Houses on the Caelian Hill is one of the most beautiful archaeological sites of Europe. Visiting this historic monument gives you a perfect chance to wander through the lush green gardens of Villa Celimontana wherein you can also explore the church of Saints Paul and John. 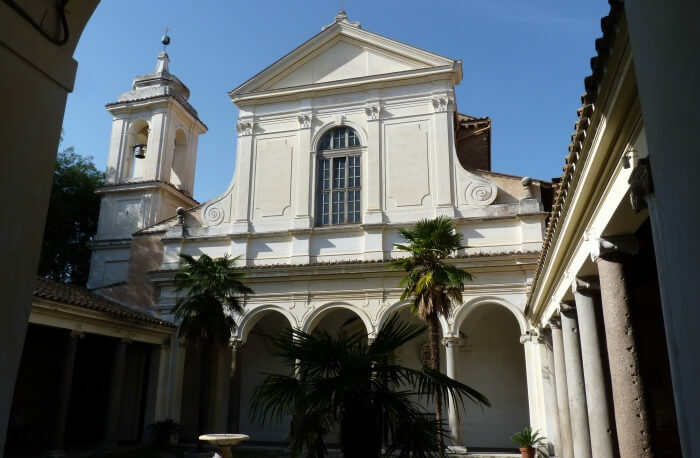 Take a walk down the pathway next to church to view the breath-taking site of the beautiful roman houses and well-preserved frescoes of the ancient Rome. The rooms of the Roman Houses are beautifully decorated with the 12th-century wall paintings that depict the history of Ancient Rome. Also known as the Tullianum, The Mamertine prison is one of the oldest jails that is located on the northeast slope of the Capitoline Hill in ancient Rome. 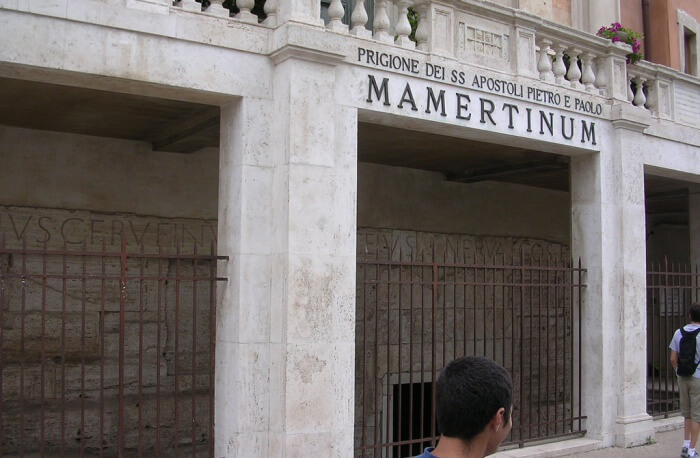 This historic monument has two gloomy cells that were the house of numerous prisoners of the empire and Saints, Paul and Peter. In this modern age, this prison is considered as a pilgrimage site for the visitors as San Giuseppe Dei Falegnami the church now stands over it. Visitors use the modern steps that lead down to the upper level of the prison. Don’t forget to visit the small beautiful museum of the prison where you can witness the interesting artifacts of historical and archaeological interest. 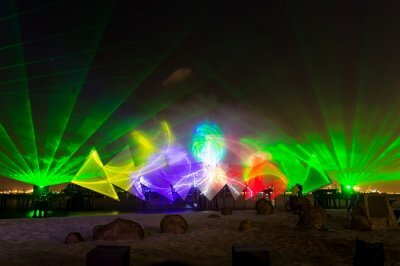 Overall it will be a fascinating experience for the travelers to step into 2000 years in the past. Built in the 12th century The Salita Del Grillo tower is a well preserved ancient brick building that has stone rectangular shaped windows that attracts the visitors in large numbers. 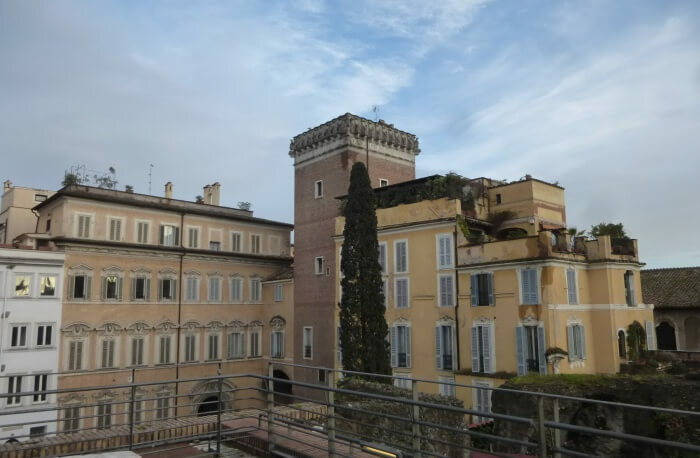 This picturesque historical piece of sight is surrounded by various ancient buildings that speaks a lot about the rich cultural history of ancient Rome. 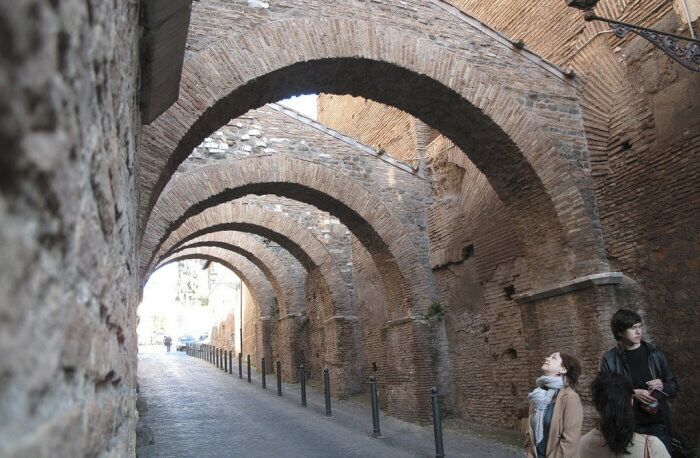 Take an uphill walk towards the Trajan’s Market which is one of the major attractions of Rome’s five imperial forums which was built by Julius Caesar. The semicircular shaped structure of this historic building gives you a breathtaking view of the city. 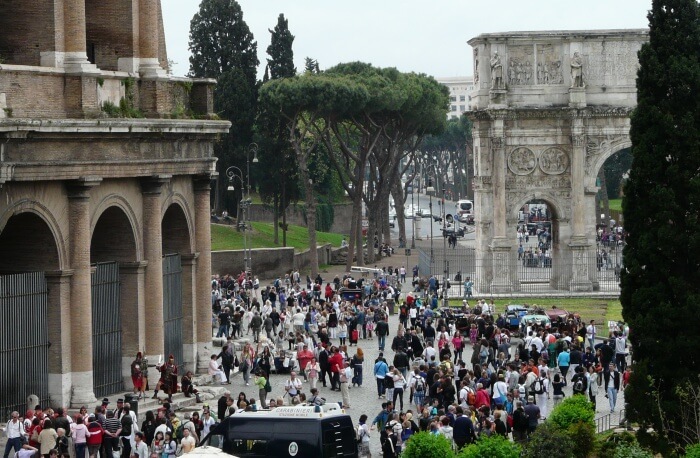 It is the perfect place for the visitors to appreciate the glory of Ancient Rome. 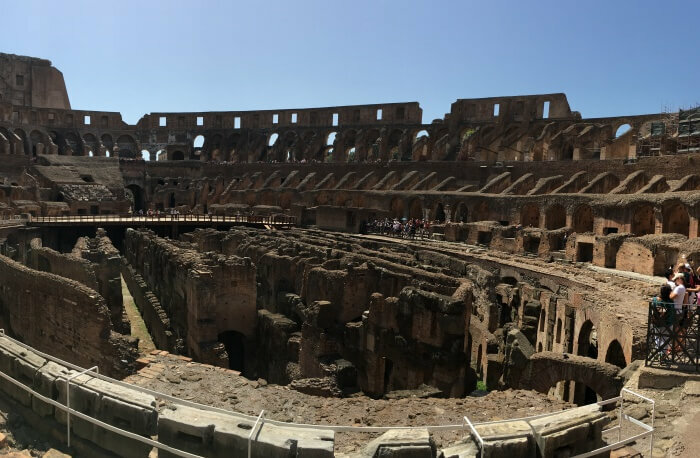 There is no way you should miss out on exploring the Colosseum, which still stands today as an iconic symbol of imperial Rome. Believe it or not, this structure is blessed with great powers. It has withstood devastating earthquakes, fires, and stone-robbers over the centuries. It isn’t famous for nothing! Despite being in constant use for over 1900 years, the Colosseum in Rome is incredibly well preserved. No trip to Europe is complete without a visit to the Roman Colosseum.